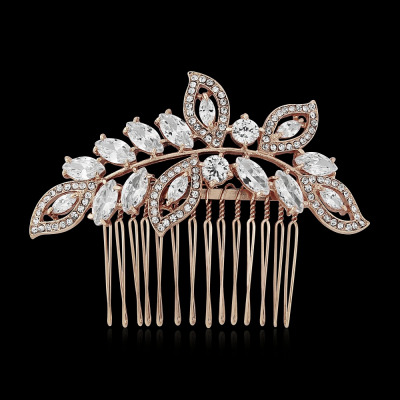 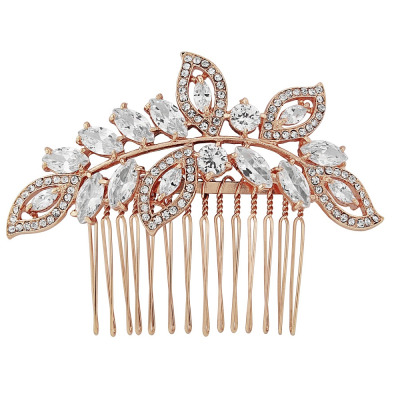 A beautifully romantic and elegant floral hairlip. 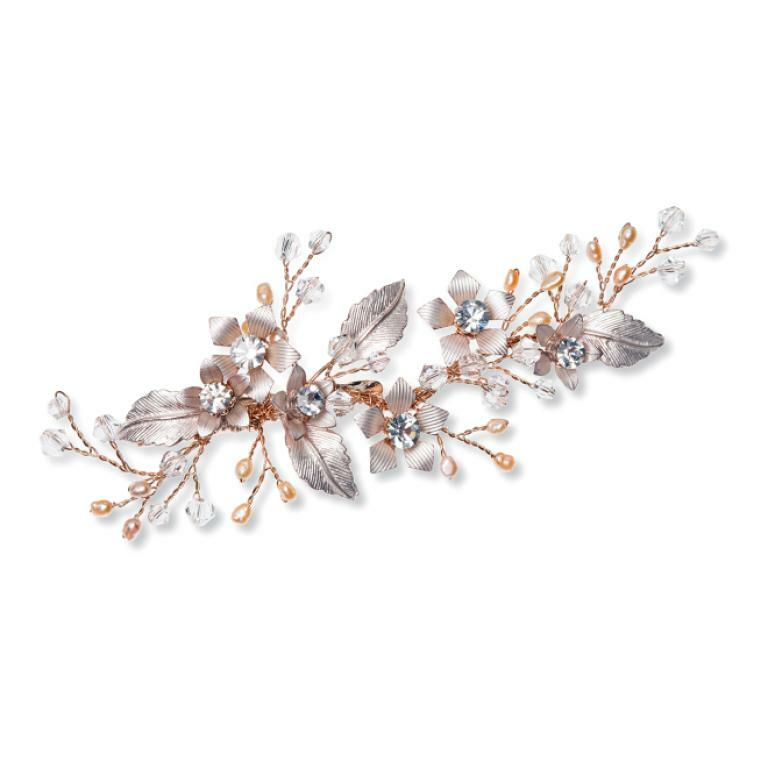 Cut marquise crystals and natural lustre man-made pearls are set in a flowing design intertwined with enamelled petals and leaves. 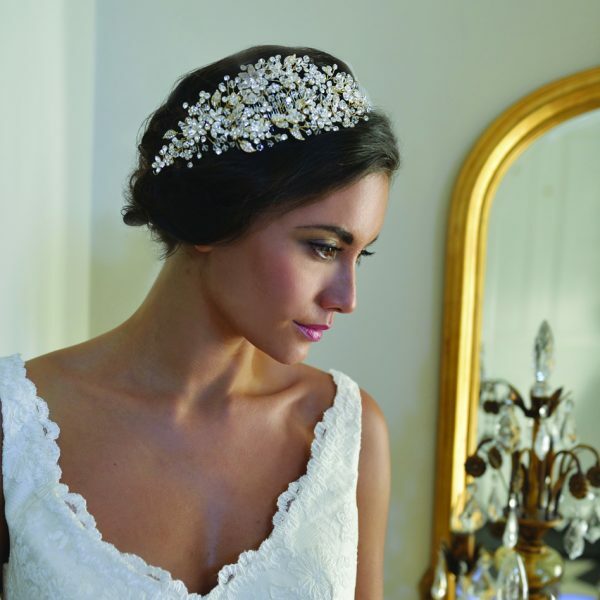 Adonia looks gorgeous either on the back of the head above an up-do and veil or on the side of a hairstyle. 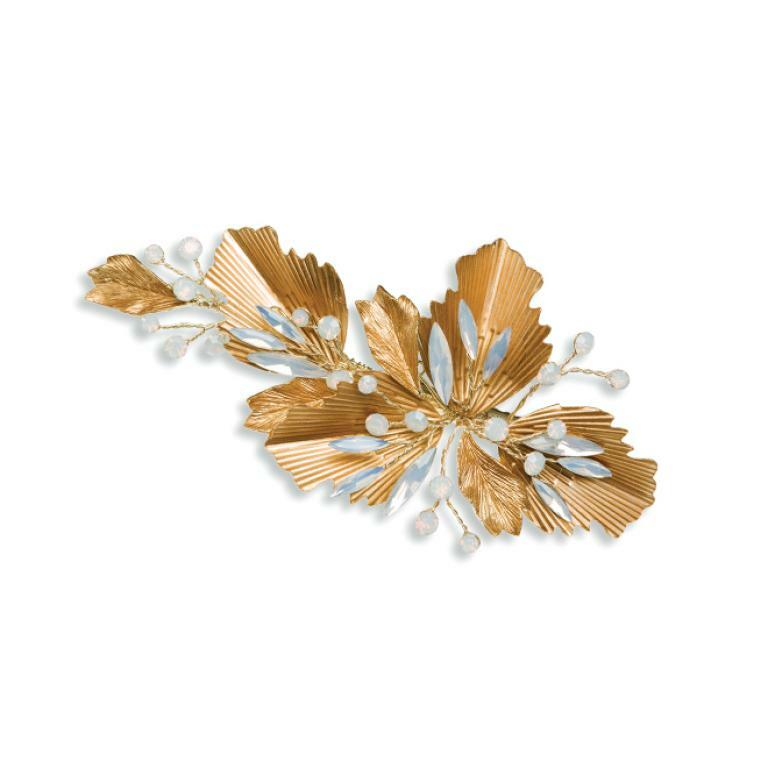 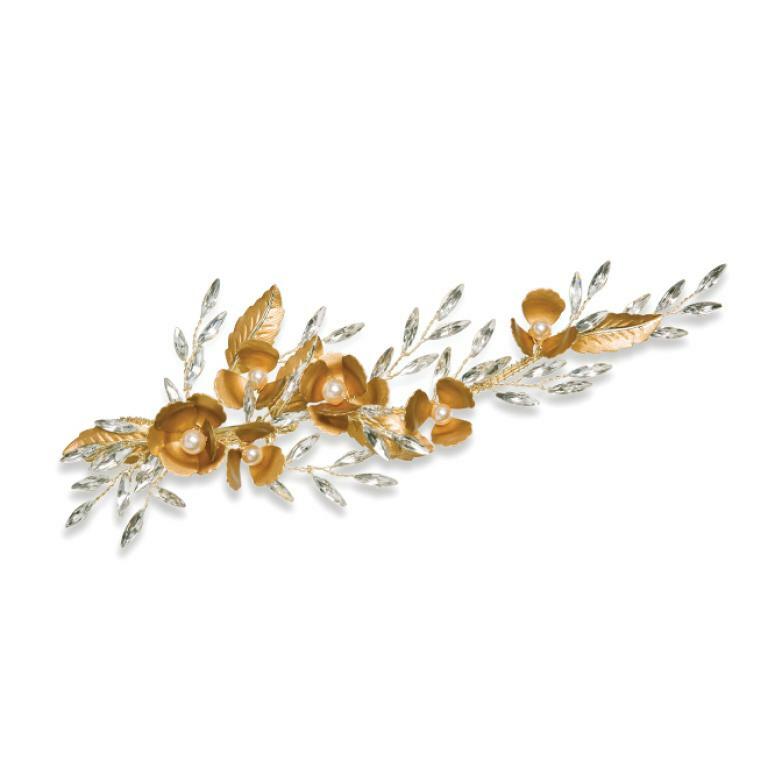 Golden Poppy is a beautiful and delicate floral hairclip. 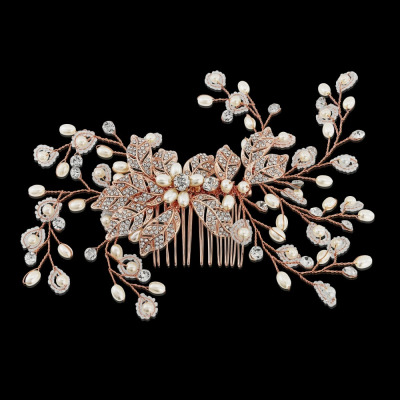 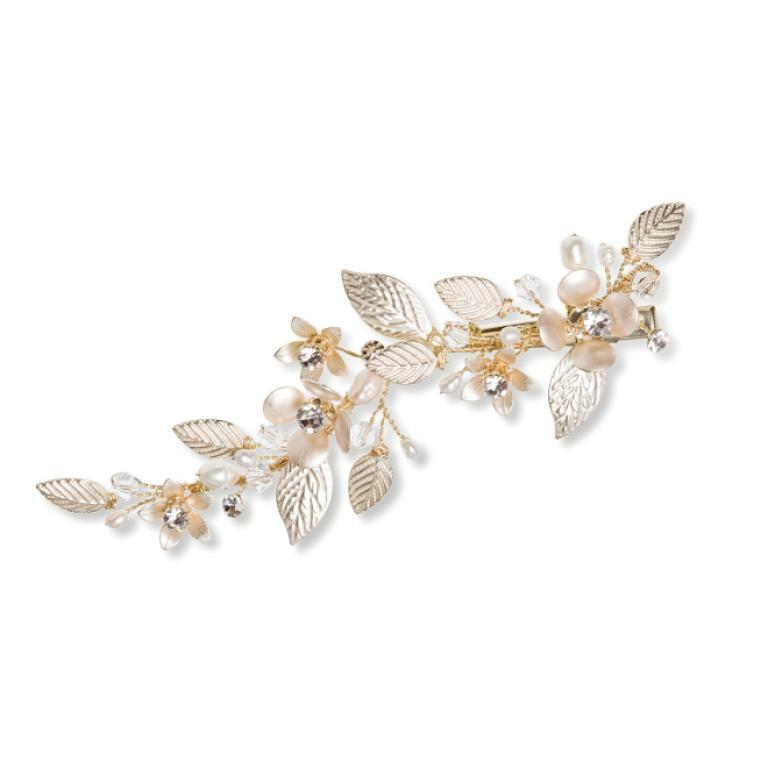 Cut solitaire crystals, cut crystal beads and pale ivory freshwater pearls are set in a stunning design intertwined with champagne gold enamelled flowers and leaves. 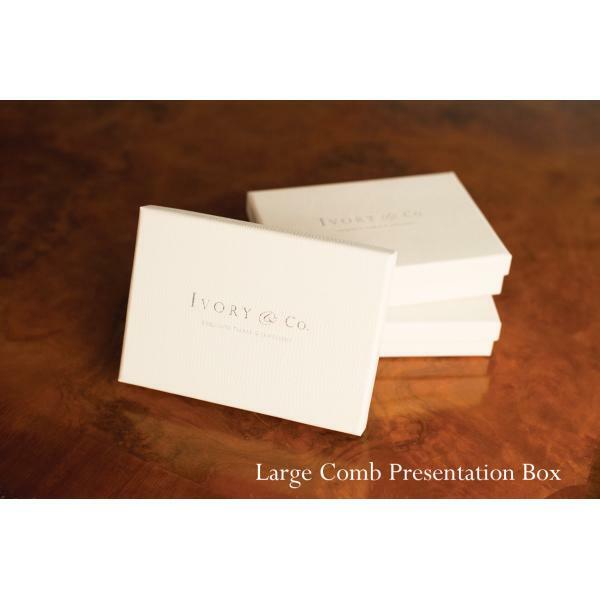 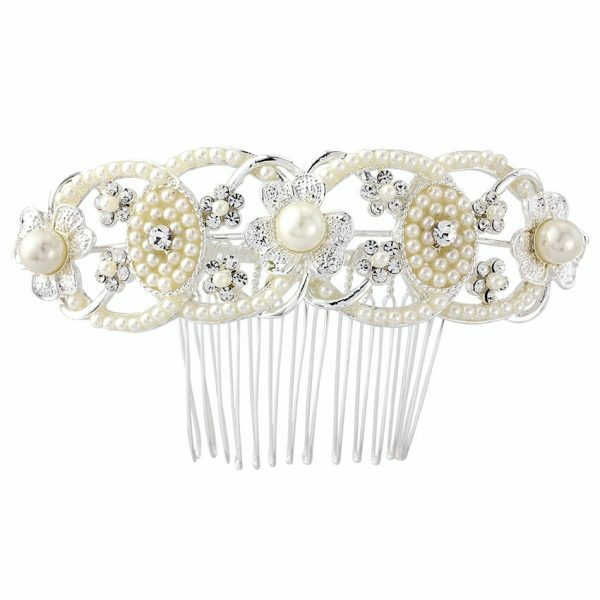 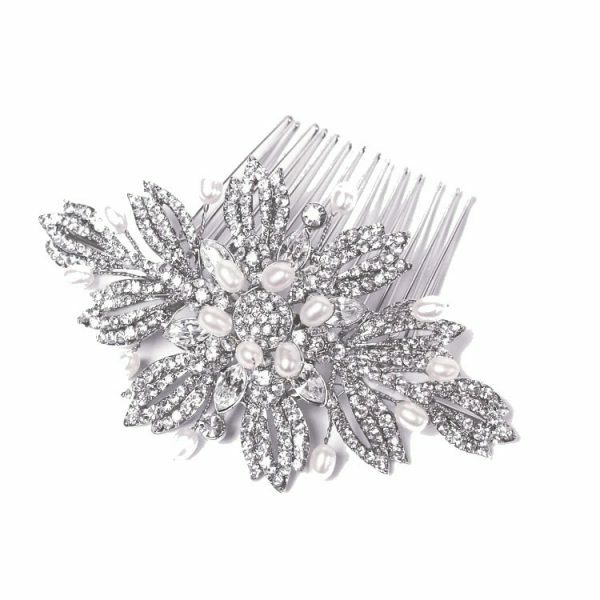 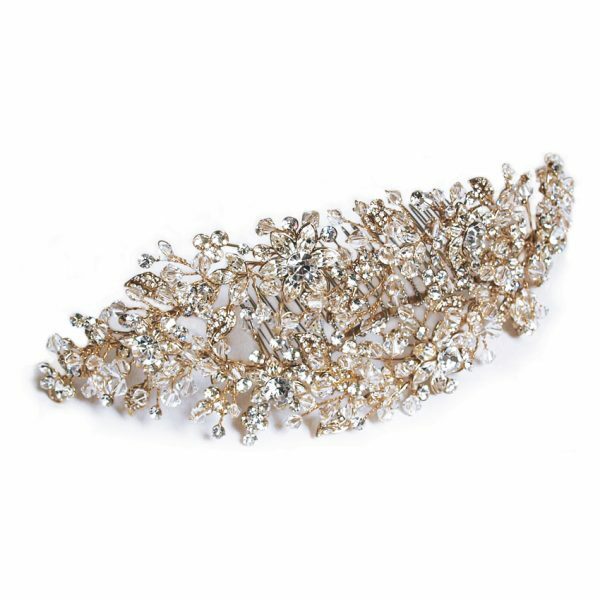 Perfect for brides and bridesmaids alike. 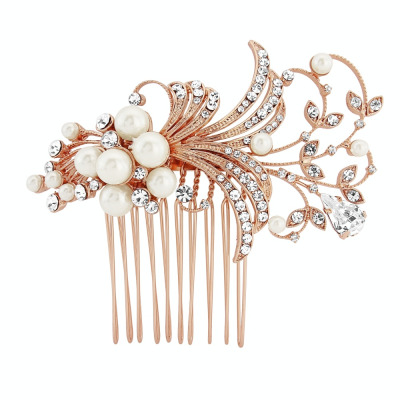 A beautifully romantic and elegant floral hairlip. 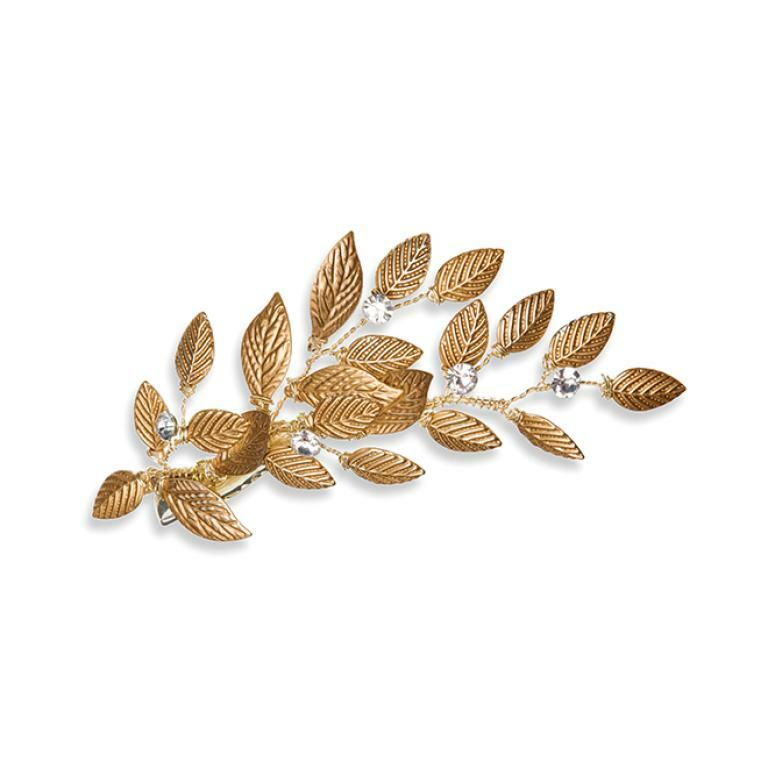 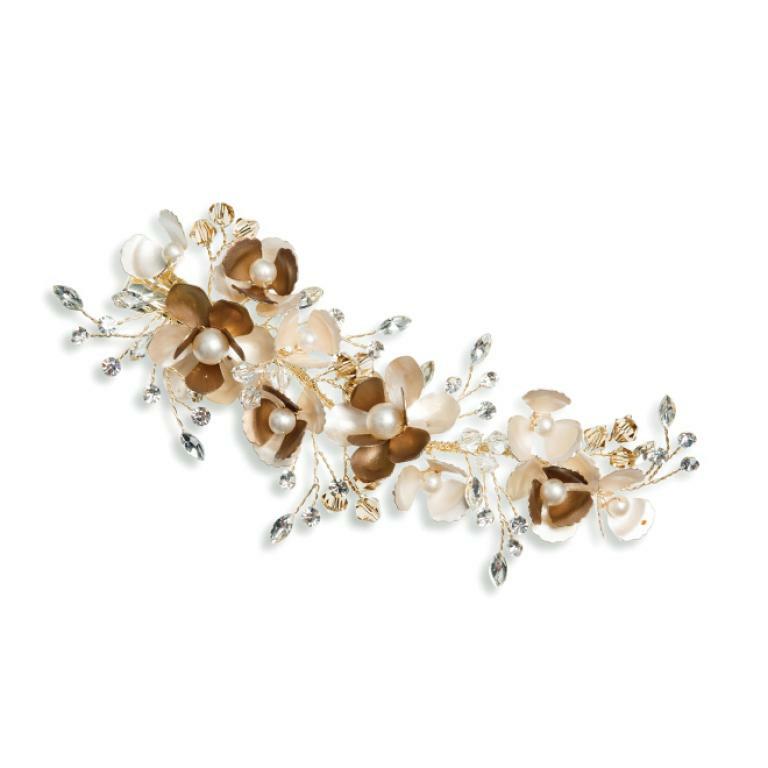 Cappuccino Blossom comprises of cut solitaire and marquise crystals, natural lustre man-made pearls and delicate amber crystal beads are set in a flowing design intertwined with dainty champagne gold and pale coffee enamelled petals and leaves. 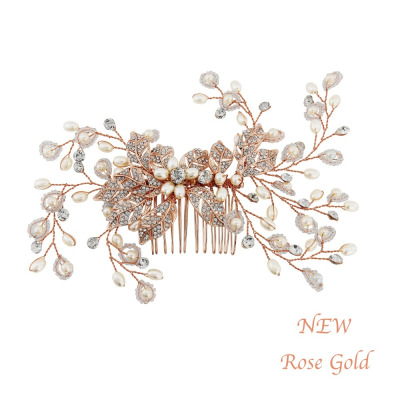 Cappuccino Blossom looks beautiful either on the back of the head above a bun and veil or on the side of a hairstyle.